Glass is an indispensable material for our daily lives. 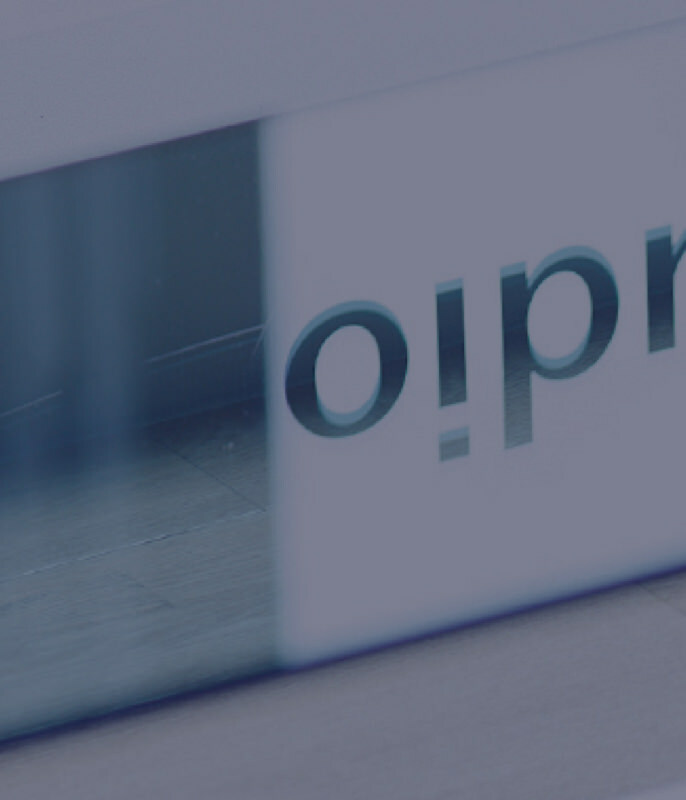 From buildings such as houses, offices, shops and public facilities to cars, TVs, tableware, smartphones and tablet devices, etc., we have many opportunities to interact with glass as a practical product. On the other hand, glass has also been playing an important role in the field of luxury goods with superior designs such as jewelry, stained glass windows, traditional crafts, and art works from the ancient times. AGC has been offering diverse types of glass in various industries, and is pursuing new attempts to expand the possibilities of glass more than ever: utilization of glass and other materials focusing on a "design perspective". 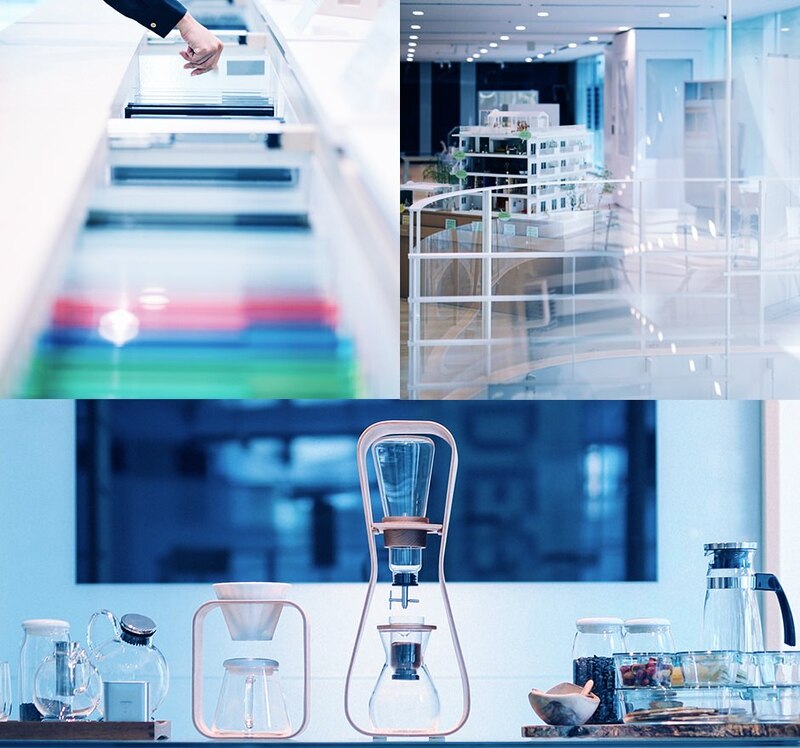 In addition to conducting R&D, we are working to draw new attractiveness from glass with the power of design, in cooperation with architects, industrial designers, space designers and product designers who connect products and users. As a pioneer of glass materials, AGC actively works with designers who have original and creative ideas. Working together doesn’t mean a one-way relationship in which AGC just provides new materials and intermediate processors and designers finish them. We are collaborating with each other, and we are discovering the attractive usefulness and new possibilities of each industrial product by discussing and exploring solutions. 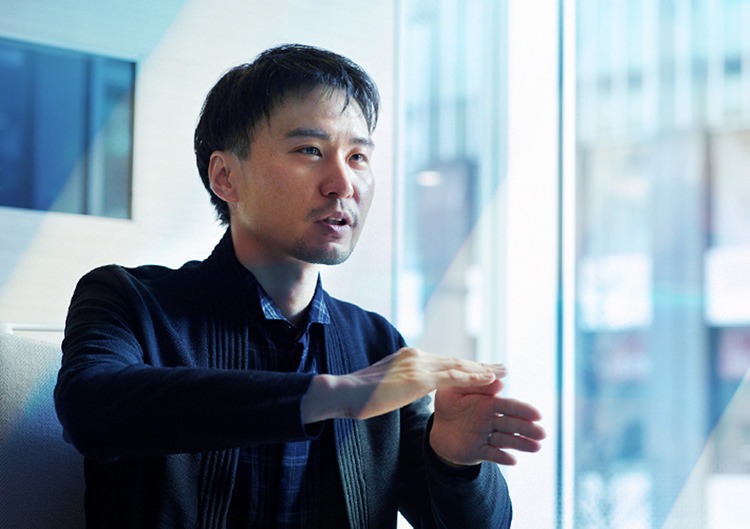 Tomoya Sato (NOMURA Co., Ltd.), who works on space design for commercial facilities, is one of our partners. He was in charge of interior renewal of the showroom "AGC Studio" in Tokyo, where we can touch AGC's merchandise and solutions. We asked him about the relationship between glass materials and design. At AGC Studio, anyone can touch glass inside. You can see and experience AGC glass products and feel how they are connected to people’s lives. AGC Studio reopened after renovation in 2017. It introduces case examples (solutions) of AGC’s products and materials through exhibition on the first floor, and exhibits the parts used in the solution on the second floor. AGC products are used everywhere in the interior as well, so that everyone who visits the studio, from general users to specialists, can concretely image the use of materials just by looking at the interior. Mr. Sato said he reaffirmed AGC’s high standards in product development and technology through this project. He also mentioned that he realized how AGC approaches design and its attitude to it, which AGC emphasizes in recent years. In recent years, AGC has been accelerating technology development and manufacturing from a design perspective. On the other hand, AGC's glass and other materials have been utilized in various countries in the world before that. We introduce initiatives and cases which are symbolic of design. AGC has begun exhibiting glass in Milan Design Week, one of the most prestigious design events in the world, to encourage designers and creators who hold the key to product design in the future and advanced design to touch the new glass products of AGC. It is a place to let them know AGC's appeal and strengths with our design, and give them inspiration. 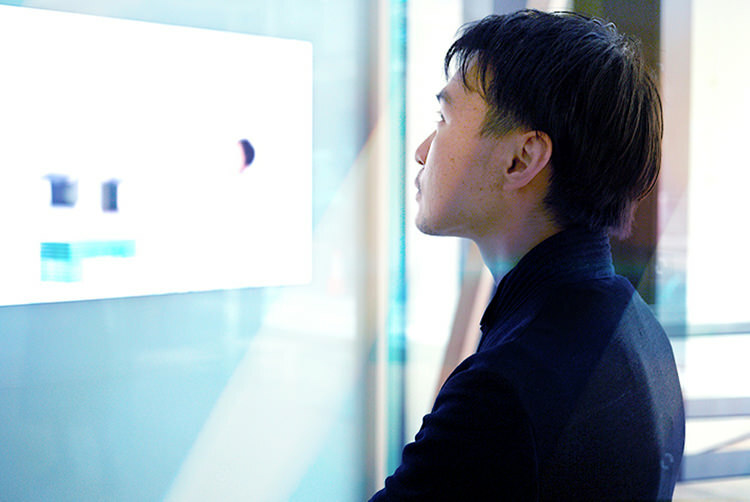 We collaborate with up-and-coming creators and exhibit installation of “glass projecting images,” “light-weight and flexible glass” and “glass to enjoy its tactile impression". In April 2018, an installation using "sound-generating glass" by Japanese architect Mr. Motosuke Mandai and new technology by AGC was demonstrated and attracted attention. 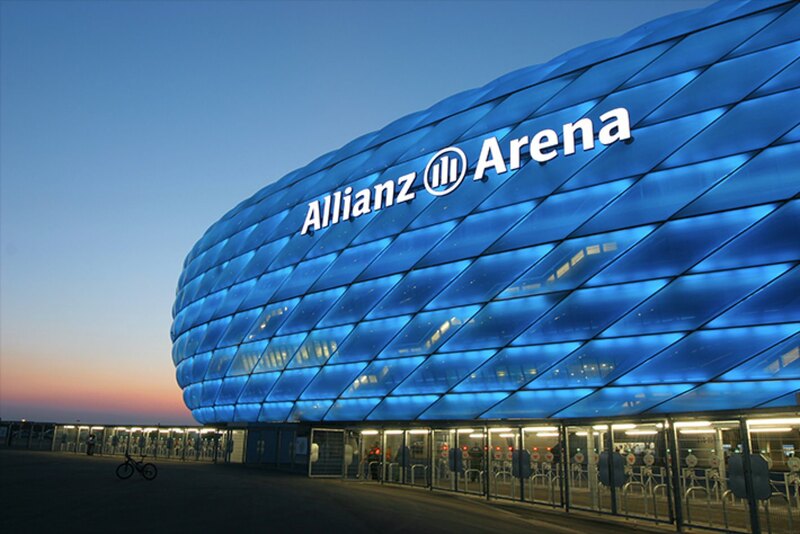 Allianz Arena uses a high-performance fluoropolymer film "Fluon®ETFE Film" in layers and inflates them to express a unique wall design. Allianz Arena is known as the home stadium of Bayern Munich, and was also used for the FIFA World Cup Germany in 2006. The high-performance fluoropolymer film Fluon® ETFE Film used for its roofing and exterior is light-weight, and has excellent weather resistance, durability and various design possibilities. The product was developed back in 1976, and it is possible to express unique shapes with novelty and a wide range of colors with LEDs integrated inside. It has been adopted by many large stadiums in different countries such as Arena Pernambuco, which was one of the key stadiums in the FIFA World Cup Brazil in 2014, and other main stadiums for international sports events. A running stadium, which is the first large-scale membrane construction in Japan, using Fluon®ETFE Film was constructed in Toyosu in Tokyo. 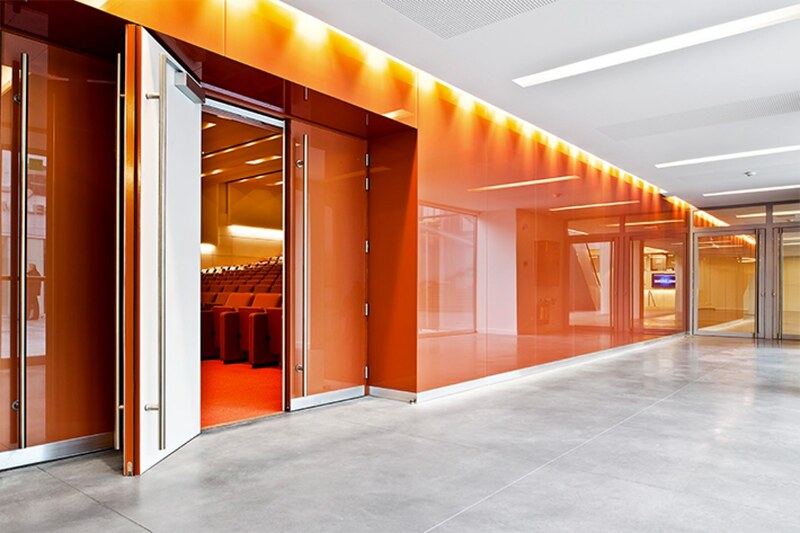 Lacobel™ is AGC's painted glass designed in Europe with sophisticated colors. We offer Lacobel™ which has the leading market share in Europe with rich color variations, and Lacobel™ Plume™ with 60% weight reduction (compared with the previous model) by thinning the glass and combining it with polymers. Lacobel™ Plume™ received the “Good Design Award (FY 2017)” in Japan. A wide range of contractors from glass traders to general interior dealers can handle it due to its light weight and safety, and the application of glass interior materials is expected to expand. We make industrial designs more familiar. Glass is becoming one of the classic materials. However, it can play an active role in a different way by seeing it from different angles. AGC attempts to create various designs not only in architectural glass but also in the product area. One of the examples is a glass chair produced in Europe. 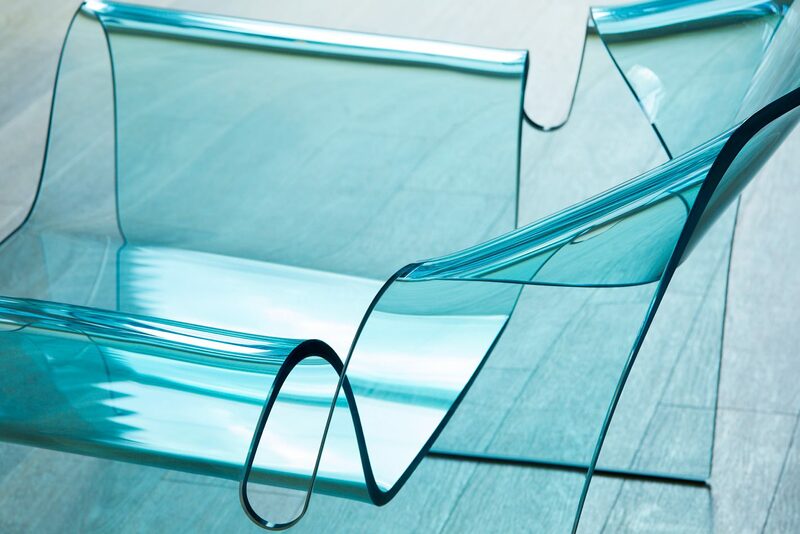 The leading Italian furniture brand "FIAM” exhibited a glass chair called "ghost” which used glass made by AGC Glass Europe in 1987. One piece of 12 mm-thick glass was placed on a mold and bent with its own weight by applying high temperature treatment. The shapes of its seat, back and legs fit the body of the person sitting on it. In addition to its excellent functionality, its elegant and luxurious finish is a perfect complement for the spatial presentation. AGC's glass products will continue to evolve even further in the future with AGC’s ability in research, development, manufacturing, processing technology and design. Mr. Sato is also trying to challenge and exploring new possibilities in the field of space design which continually changes every day. “As a new method of dealing with glass, I am focusing on combination with different materials such as wood and leather. I made a store shelf using a glass top board and wood sideboards as part of an AGC sponsored exhibition *. For connecting parts, I used a method that I conceived from the traditional joint and coupling technique of Japanese carpenters. Each joint is coupled like Kumiko (a traditional technique to couple wooden parts without nails or adhesives), so it does not need adhesives, and you can also enjoy a new expression with different materials coexisting. Designers’ ideas are also important for glass to evolve. Glass designs are expected to change variously in all the situations in our daily lives in the near future. We should pay attention to how our daily lives evolve and how design plays a role in it. AGC has been continuing research, development, manufacturing and processing of glass for over 110 years, and has offered products which boast the world's best quality. On the other hand, there are many ways of using glass with different ideas such as decorative glass for interior decoration of automobiles, cover glass of smartphones, glass doors of refrigerators, etc., when we look at the market in recent years. Besides that, we are seeing more and more opportunities for industrial design, art and entertainment to blend together, such as speakers made of glass which provide good sound quality and are also good for the interior. In other words, there is a demand for glass for design. 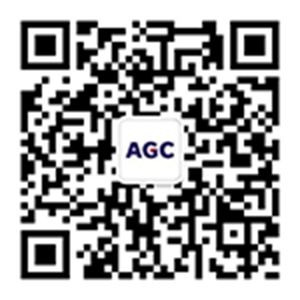 AGC will also accelerate its initiative from a design perspective in such an era. AGC has always been cherishing the philosophy to deliver glass indispensable to our lives and to function as a part of the world since its foundation. In order to realize this in the future, we will draw new possibilities for glass itself, and continue to produce attractive products with the power of design.